The ceremony was attended by Politburo member and Permanent Deputy Prime Minister, Truong Hoa Binh; Politburo member, Secretary of Party Central Committee (PCC) and Head of PCC Economic Commission Nguyen Van Binh; Chairman of the National Assembly's Committee for Science, Technology and Environment Phan Xuan Dung; Minister of Science and Technology Chu Ngoc Anh; Minister of the Embassy of Republic of Korea (RoK) in Vietnam Lee Chul, and Chairman of Hanwha Group Kim Seung Yeon. 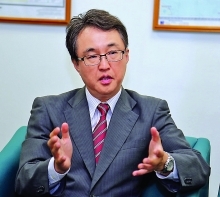 The plant was invested in by Hanwha Aerospace Co, Ltd, from the RoK, with a total investment of US$ 200 million. Construction began on the factory on September 21, 2017 and it is expected to ship its first product in January, 2019. 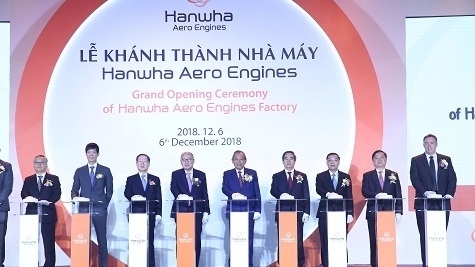 Speaking at the event, Politburo member Nguyen Van Binh expressed his hope that the Hanwha Aero Engines plant would become a representative model for technology transfer activities of Korean enterprises to Vietnam, opening opportunities to access key technology, and transfer and improve the technology capacity in Vietnam. Meanwhile, he also highly appreciated the efforts of the Hoa Lac Hi-Tech Park Management Board and the Ministry of Science and Technology in attracting investors and creating favorable conditions for the foreign investors.